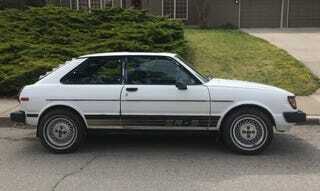 A Corolla-Tercel SR5 hatchback!... Alive! And LOUVERS!! !